I guess we can go our whole lives taking some things for granted, things that we look at every day, but don’t really SEE. I think it’s all part of the mindfulness craze to be present in a moment, and to give thought to everything that is going on around you. It is with that spirit that I come to you today, in this article you are reading. 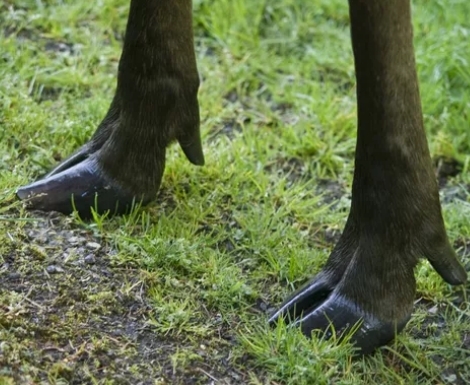 At the risk of sounding like I’m on drugs, I would like to point out “animal feet” to you. I am sure that I am like most of you, and have noticed cat feet because I live with them and they are frequently doing stupid cute things, such as merely existing. My friends and I are pathetic cat ladies, regardless of actual gender, and we send pictures of our cats’ feets, or, of just the cats and then the friend sends the picture back with the paws circled, as if we didn’t already know. Am I revealing something that should bring shame to us all? Probably, but not yet. No shame on this day. Not until the second after I push the publish button. 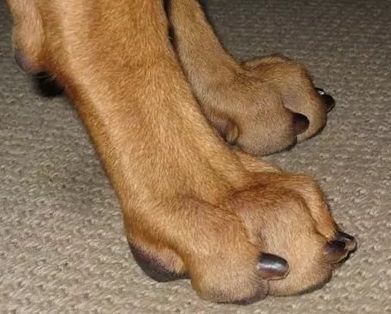 Anyway, I was speaking poetry words to Kevin or Dollissa, comparing Zesta’s paws to the paws of a cheetah. 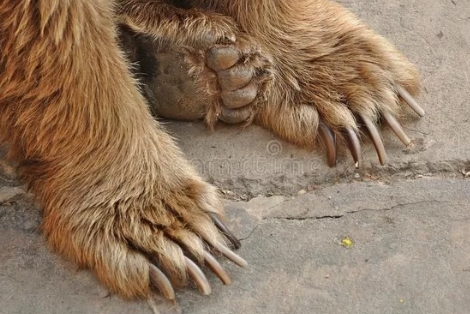 I decided that I wanted to remind myself how true it really is, but the image search brought back a lot of pictures of other animal feet. A lot of other animals. 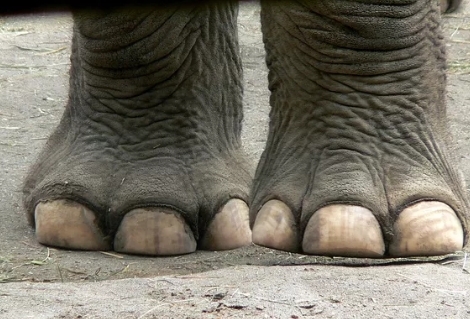 Just their feet. And there began my strange spiral into this moment here, where I am making a post filled with pictures whose sources I would credit but I can’t remember where I got them from and I would ordinarily draw renditions of to avoid all of that but I don’t want to spend hours DRAWING animal feet. That is TOO weird. Zesta’s feet in cheetah print. 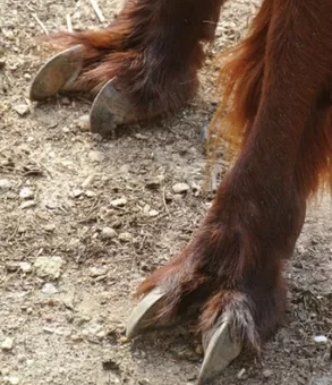 Hoofs are an uncomfortable thought to me. 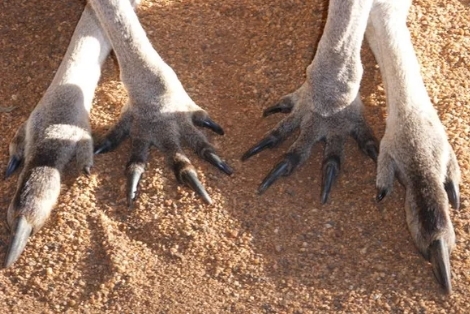 They are legs that end in a toe with a huge toenail, basically. Or I guess in two or more toes. But that nail! Sometimes they are pointed, like awls. Weird! 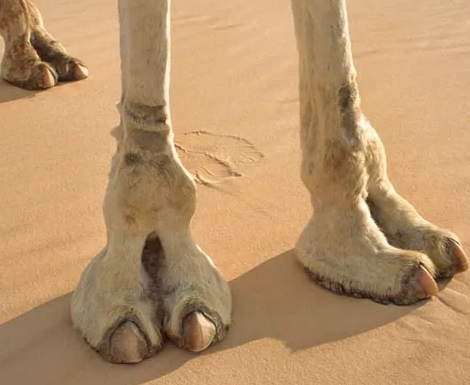 Additionally I just learned that alpacas and camels have thick toenails but NOT hooves, but that is close enough for my purposes! 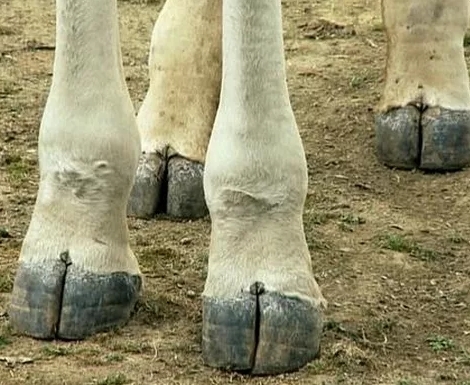 I forgot to show a horse foot but at least you can look at a camel’s feet! 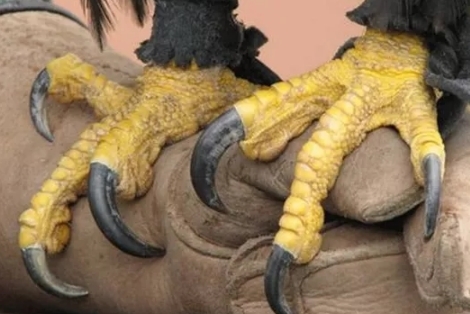 These feet look prehistoric. 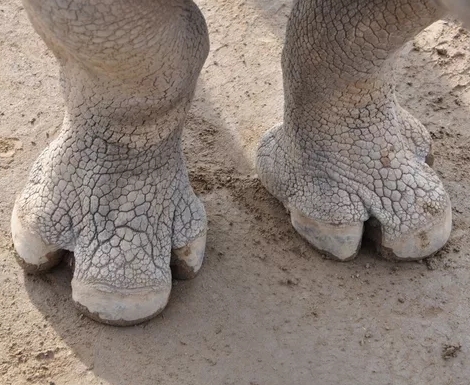 Is this the foot of a grey dinosaur? It is in my world. 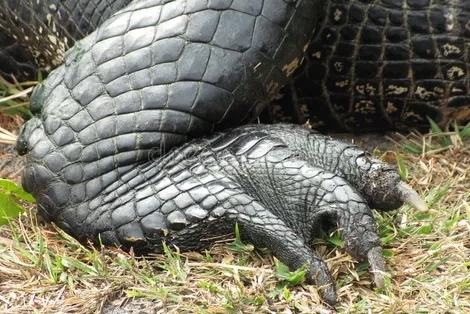 These big fat feet are made for stomping around. Imagine if one of these animals lived above you in your apartment building?? You would never feel rested. And neither would it, as it paced around, feeling like it did not belong indoors. 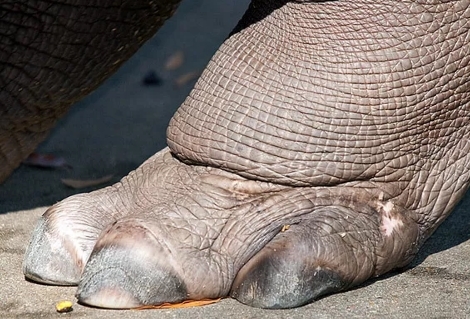 Even a tiny rhino would stomp. Contrary to what Fantasia said, hippos wouldn’t make good ballerinas. Stomping on hippo dreams like I’m a rhino. 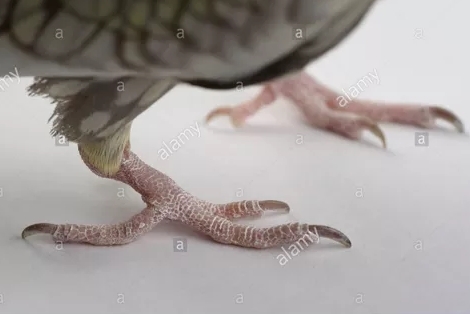 You can tell a bird foot because it has a distinctively birdy shape. 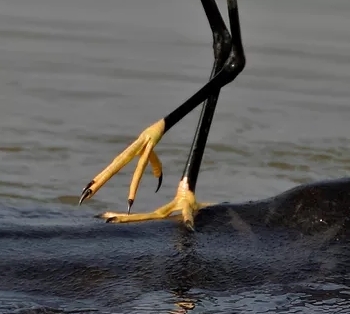 Their feet are designed for perching, or wading, or swimming, or killing. 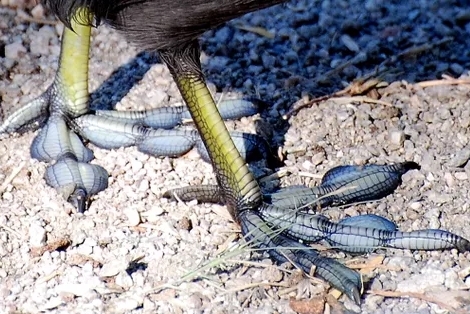 Fine and delicate, webbed, featuring deadly looking talons — bird feets are as varied as bird beaks and bird bodies! 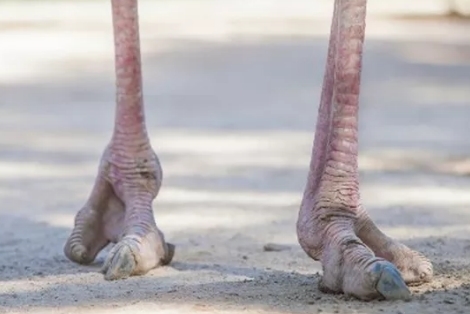 An ostrich’s foot looks like a giant dinosaur foot, too! 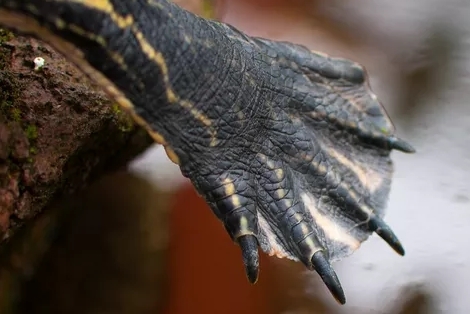 More scales, but very differently shaped from our friends, the birds, reptiles have feet that are clawed and intriguing. 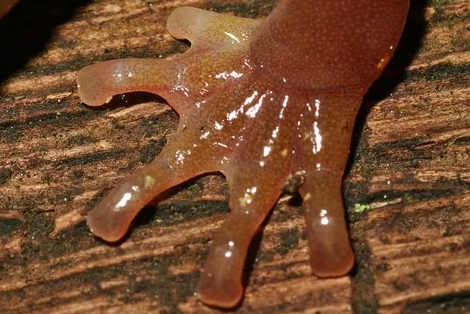 Amphibian feet always seem frail and I found myself worrying that they get hurt easily. Take care, frogs. Be careful, salamanders. No. 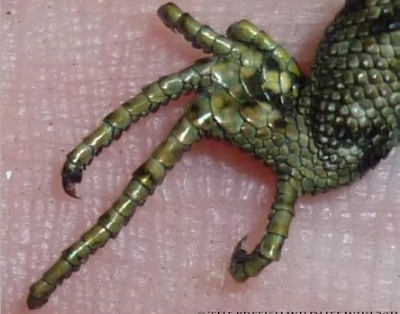 Lizard feets make me ill. 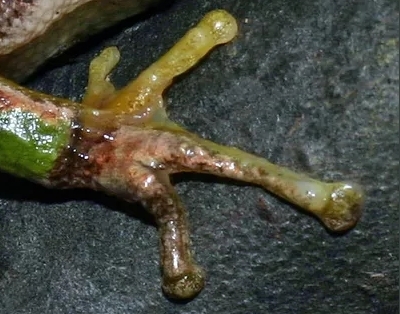 This frog foot makes me ill too. 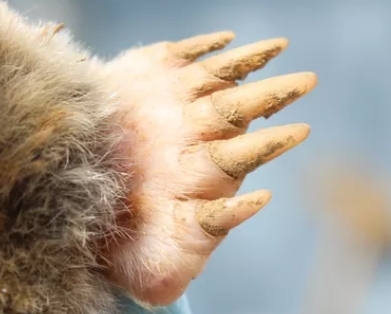 Some mammal feet are not much like the feet of cats and dogs! 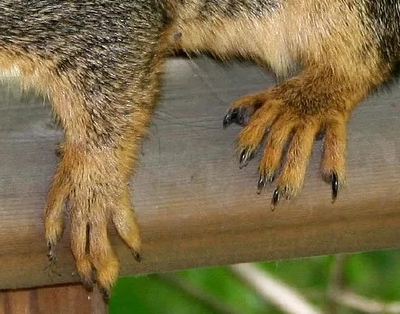 Instead of rounded and adorable, they are like furry people hands, but with atrocious nails! 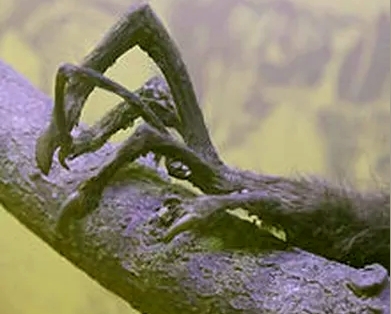 I am not including any pictures of monkey feet because they are much too close to people feet and people feet are GROSS. Get away! This is a mole’s digger. And a DOG so that I can stop feeling so sad that I made this article! 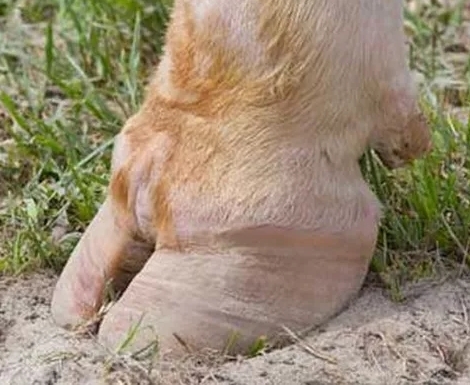 Aside from getting an animal foot education, I was also left with unsettling thoughts about why these images were on the internet. Is this a hobby? 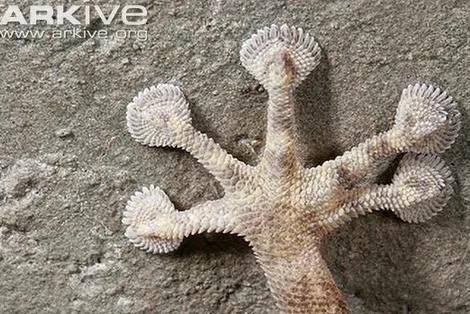 Collecting pictures of animal feet? 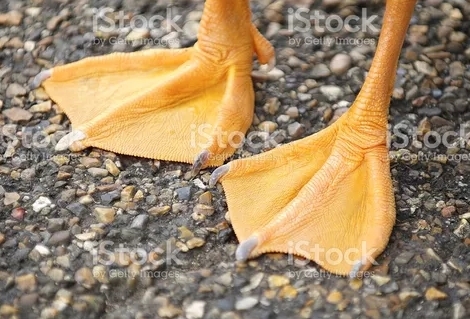 And also WHY are there so many disturbing pictures of disembodied animal feet? Just loose feet of presumably now-dead creatures. It’s… it’s not a FETISH, right? Pictures of either alive or dead animal feet, I mean. I’m sure it is because anything you can dream can be a fetish, and if it didn’t exist at the start of my sentence, it probably exists now at the end of it. I’m sorry, world. 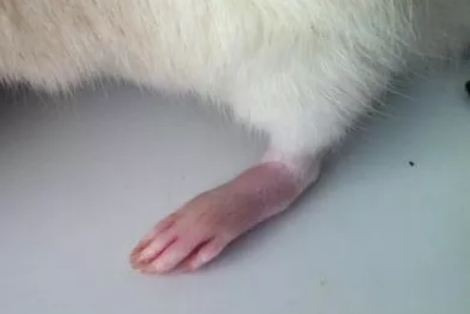 Can I make it up to you with just this little picture because I thought it was adorable and more than just a foot and I never want to look at anything’s feet again? No shame, but maybe some regret. Previous Hosting Parties: It’s Fun! It’s Easy!